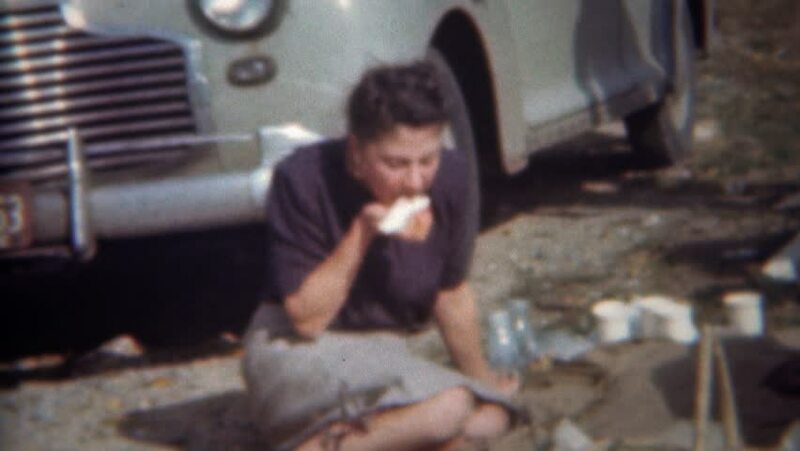 TRYON, NC 1943: Family enjoys impromptu roadside lunch picnic as classic car drives by. 4k00:12OHIO 1954: a woman opens her present during the holidays. hd00:18First person game in airsoft.